The 2019 list features 10 new restaurants, including two first-time entries from Thailand: Sorn (No.48) and Gaa, making its debut on the list at No.16. Gaa has double reason to celebrate. As well as claiming the Highest New Entry Award, executive chef Garima Arora is named elit™ Vodka Asia’s Best Female Chef 2019. Thailand is also represented by Sühring (No.4), Bo.Lan (No.19), Le Du (No.20), Nahm (No22) and Paste, the latter climbing three places to No.28. 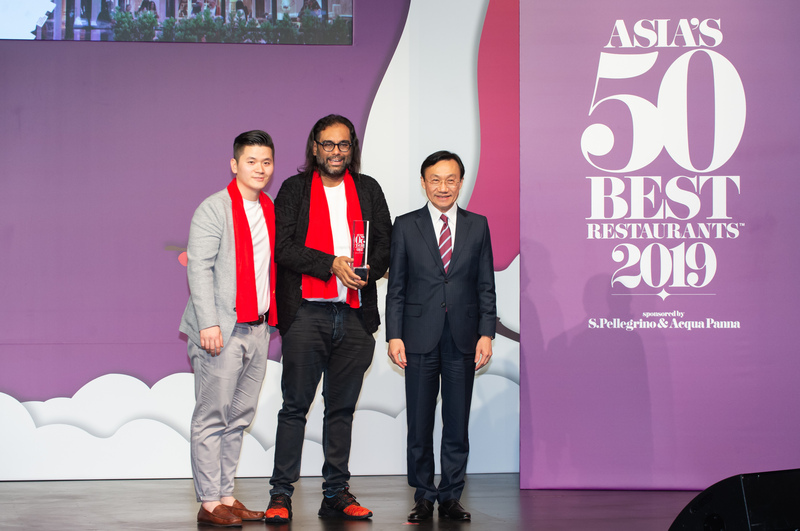 The 2019 list reflects the diversity and vitality of the ever-evolving Asian gastronomic scene, featuring 10 new restaurants, including a first-time entry from Malaysia (Dewakan, No.46) and a new restaurant in the Philippines (Toyo Eatery, No.43), a country last represented in the list in 2017. 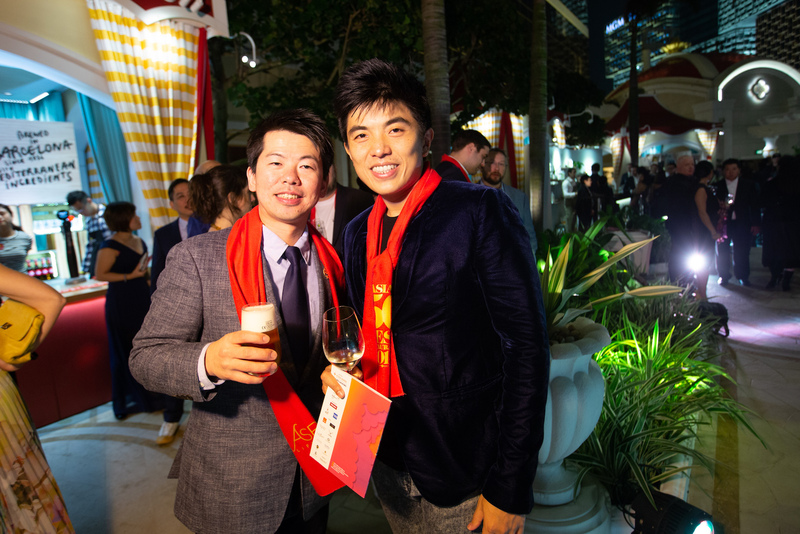 Host destination Macao counts two restaurants with Jade Dragon rising eight places to No.27 and Wing Lei Palace debuting at No.36. Singapore claims seven entries on the list, including Odette. 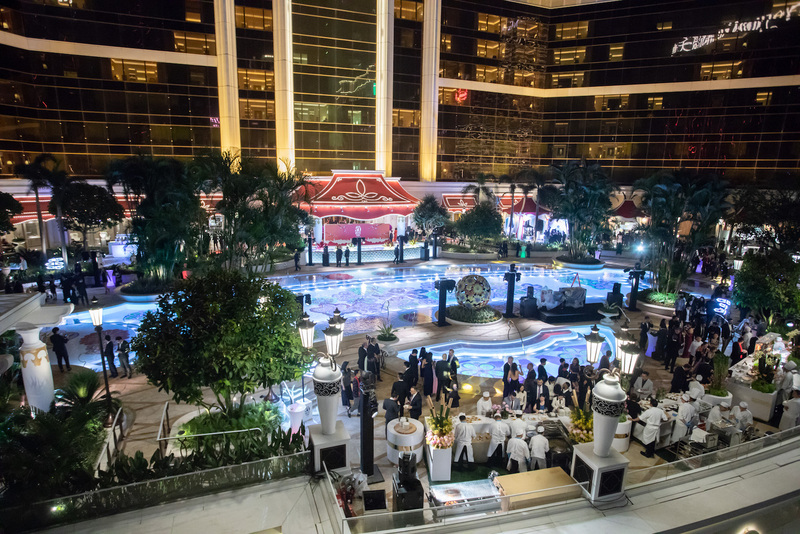 Housed in the iconic National Gallery Singapore, Odette serves Asian-inspired modern French cuisine, each dish presented with impeccable style and characteristic perfection. 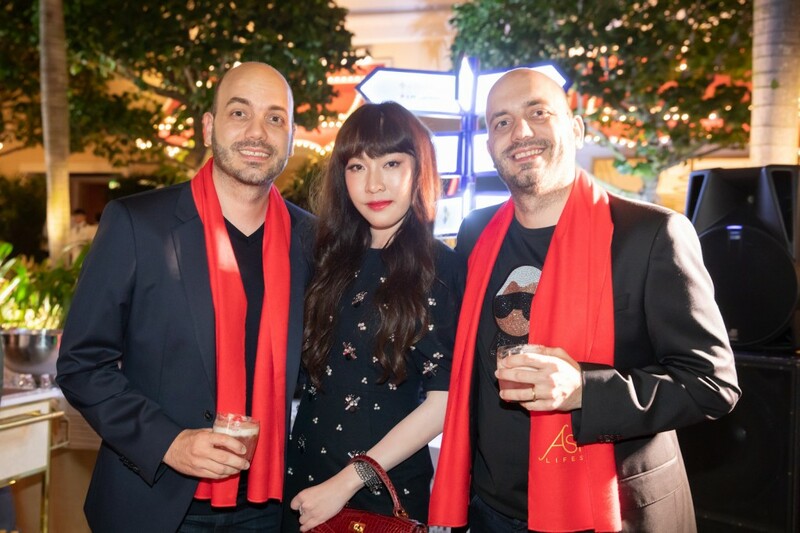 Taking its name from Royer’s maternal grandmother, Odette earned Asia’s Highest New Entry Award in 2017 before debuting on The World’s 50 Best Restaurants list last year at No.28. 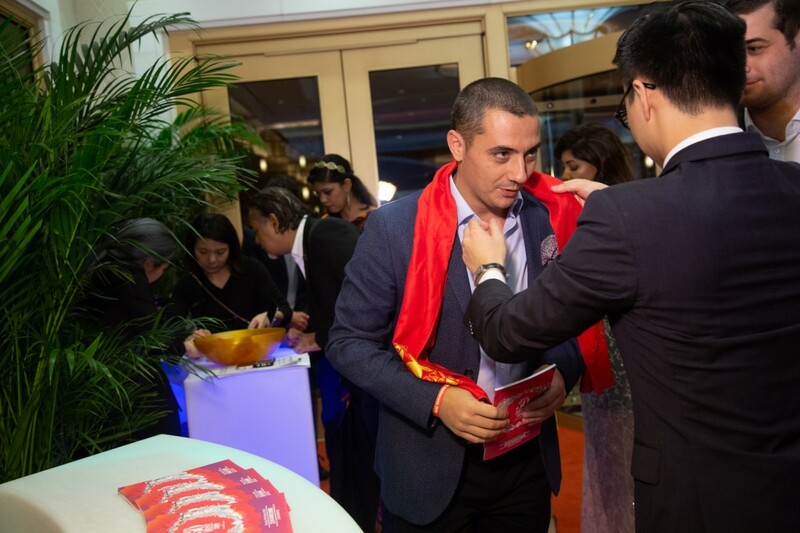 Other Singapore entries include newcomer Nouri making a bow at No.39 and longtime favourites Burnt Ends and Jaan rising to No.10 and No.32 respectively. The remaining Singapore restaurants are Les Amis (No.33), Waku Ghin (No.40) and Corner House (No.49). 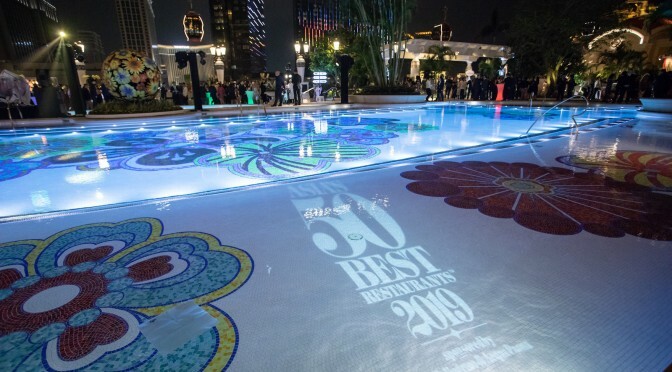 Japan leads the 2019 list with 12 entries. 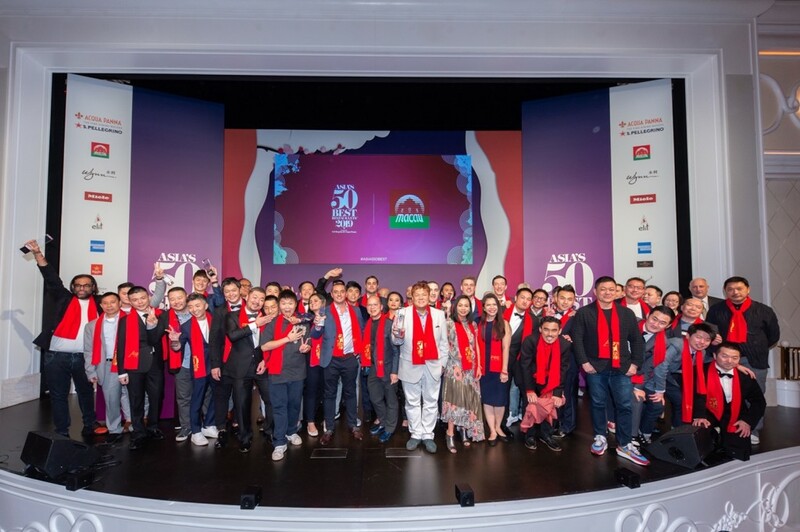 Fronting this group is Den (No.3), earning the title of The Best Restaurant in Japan for a second consecutive year. 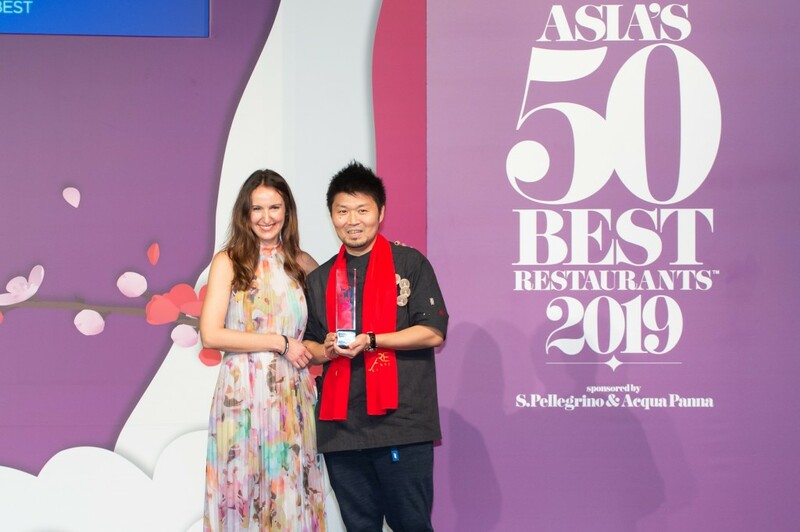 Den’s charismatic chef, Zaiyu Hasegawa, was also rewarded for his innovative approach and named the 2019 recipient of the Chefs’ Choice Award, sponsored by Estrella Damm, the only award voted for by the chefs of the Asia’s 50 Best Restaurants 2019 list to recognise a peer making a positive impact on the restaurant scene. 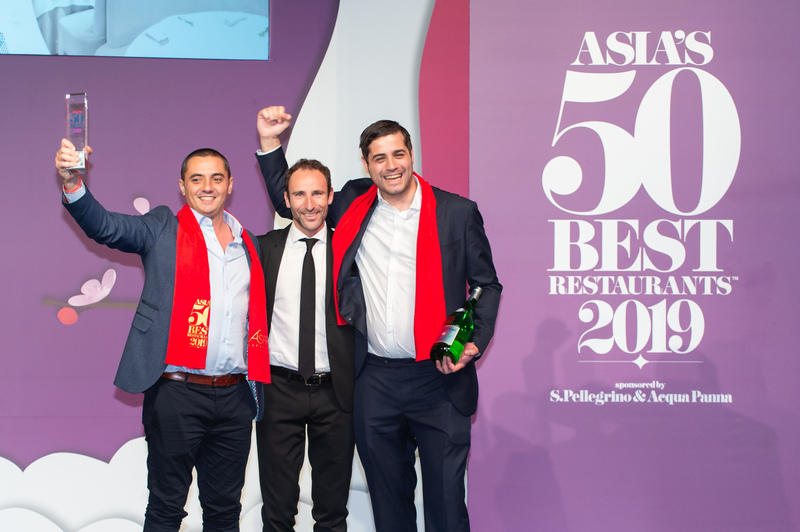 The top 10 also includes Japan restaurants Florilège (No.5), Narisawa (No.8) and Nihonryori RyuGin (No.9). Sazenka and Sugalabo, both in Tokyo, are newcomers to the list, landing at No.23 and No.47 respectively. 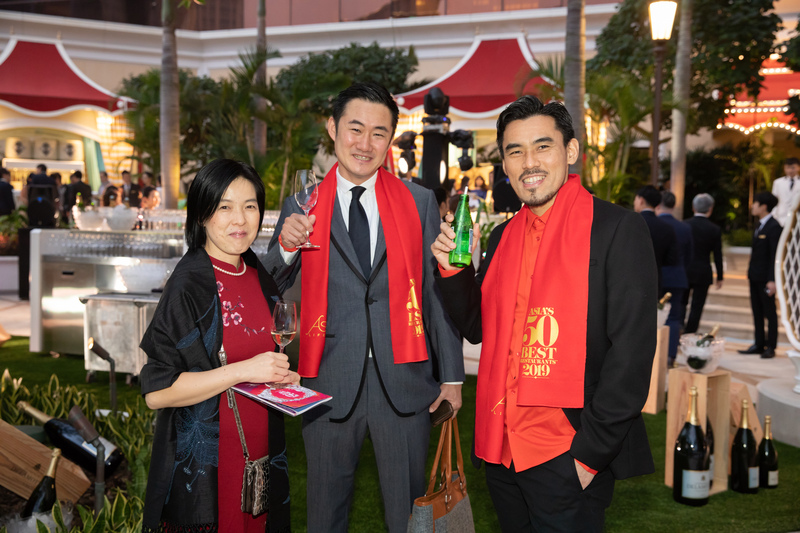 Hong Kong counts nine restaurants on the list, including The Chairman (rising from No.22 to No.11), 8½ Otto e Mezzo Bombana (No.12), Amber (No.21), Neighborhood (No.37), Lung King Heen (No.38) and Ta Vie (No.50). 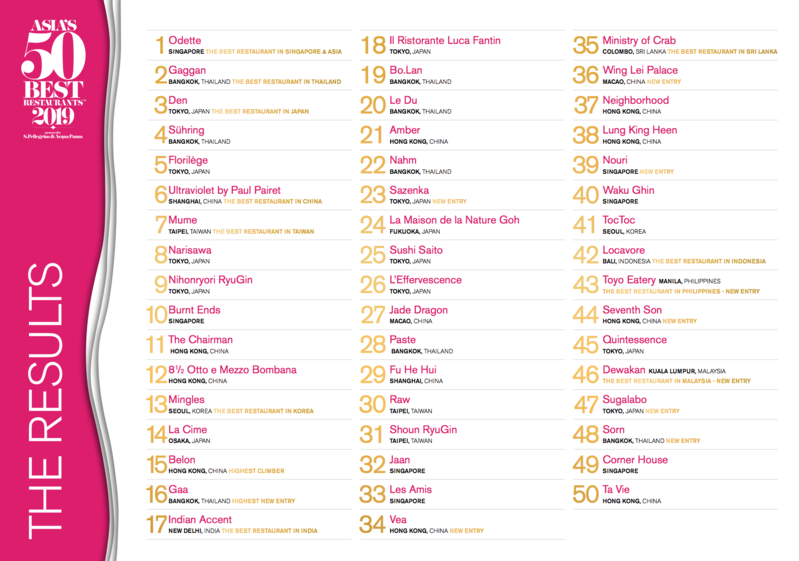 Soaring 25 places to No.15, modern French bistro Belon is crowned with this year’s Highest Climber Award. 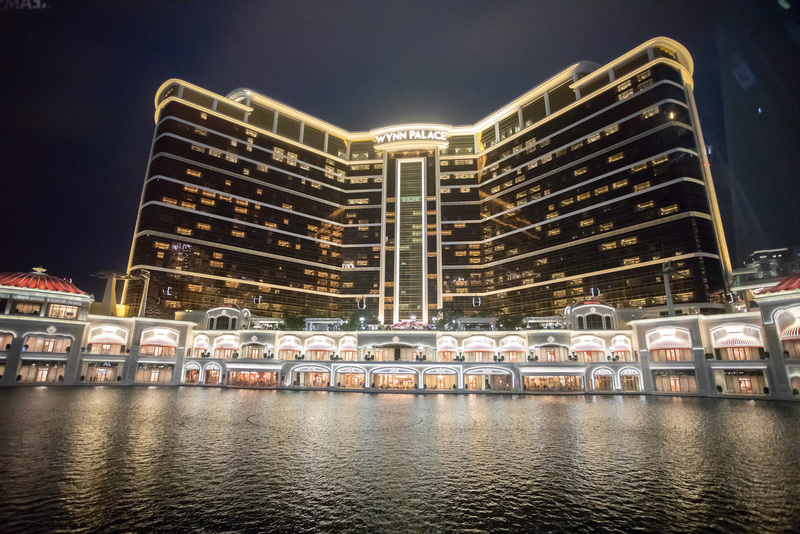 Host destination Macao counts two restaurants with Jade Dragon rising eight places to No.27 and Wing Lei Palace debuting at No.36. 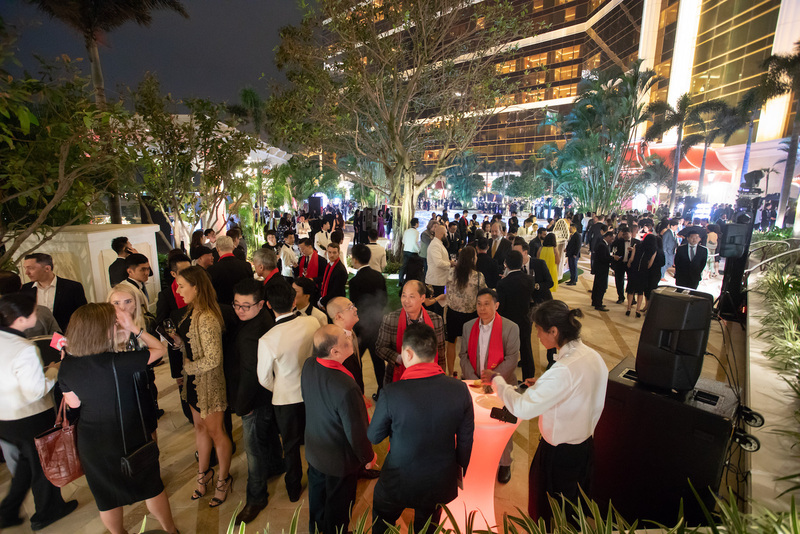 Other individual award recipients include JL Studio in Taichung, Taiwan, earning the Miele One To Watch Award for its modern interpretations of Singapore cuisine. 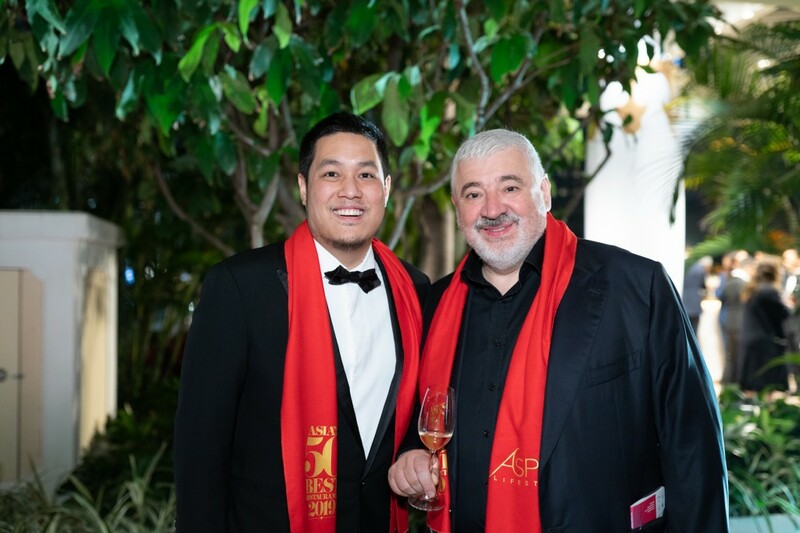 Celebrated chef Seiji Yamamoto, of Nihonryori RyuGin in Japan, is the inaugural winner of the American Express Icon Award.